Unlawful US border policies are leaving thousands of asylum seekers stranded in Mexico, where they are facing threats of deportation to their countries of origin, where they potentially face serious harm, Amnesty International said today following a research mission last week. Conditions could only worsen under a reported deal between both countries that, if agreed, would force asylum-seekers to remain in Mexico while their claims are processed, rather than allow them to enter the United States. As a result of Amnesty International’s research focusing on the treatment of refugees and migrants in the caravans in Guatemala, the southern Mexican state of Chiapas, Mexico City and Tijuana throughout October and November, the organisation has today issued 26 recommendations to the US and Mexican governments, as well as to the authorities in Central American countries of origin and transit, to ensure human rights protections and humanitarian support for all those seeking asylum and en route, including calling on authorities to respect international standards on the use of force. “Instead of militarising the border and peddling fear and discrimination, President Trump’s administration should show compassion for those forced to flee their homes and must receive their requests for asylum without delay, as required by US and international law,” said Erika Guevara-Rosas, Americas director at Amnesty International. On 18 November, Amnesty International visited Tijuana’s Benito Juarez sports complex, a temporary shelter where the municipal government had accommodated approximately 3,000 migrants and asylum seekers who had arrived in the first of several caravans totalling 8,000 to 10,000 people across Mexico. They joined thousands of other people that US authorities have forced to wait in Tijuana for weeks or months before allowing them to request asylum at the border. On 22 November, US Secretary of State Pompeo declared that the US government plans to unlawfully deny people that right by refusing entry of the caravans into the United States. Mexican federal, state and municipal officials separately confirmed to Amnesty International that the temporary shelter did not have sufficient food, water and health services, and that respiratory illnesses were spreading among those staying there. Since at least April 2018, US and Mexican authorities have unlawfully required asylum seekers to put their names on a quasi-official asylum waitlist on the Tijuana side of the San Ysidro Port of Entry, instead of allowing people to request asylum directly at the border. The list is jointly coordinated by the asylum seekers themselves and Mexican authorities, in response to US limits on the number of asylum seekers they will receive each day. People seeking asylum without identity documents are prohibited from joining the list of those waiting to request asylum, and if they miss the day their number is called, they risk losing their places entirely. By turning away asylum-seekers at ports of entry, US authorities are violating their right to seek asylum from persecution and manufacturing an emergency along the border. This queue along the border exposes people who seek asylum to risks of detention and deportation by Mexican immigration officials, and exploitation by criminal gangs. On 21 November, Amnesty International reviewed the list, which contained the names of around 4,320 people, including about 2,000 caravan members, mostly from Honduras, who had arrived since 15 November. Those already on the list prior to the caravan’s arrival had been waiting, on average, about five weeks in Tijuana before US authorities started processing their asylum claims. Officials from Mexico’s National Institute of Migration (INM) and a Tijuana municipal official told Amnesty International that Mexican nationals comprised approximately 80 percent of those seeking asylum before the caravan arrived. Mexican authorities cannot lawfully prevent people from exiting the country and seeking asylum at the US border. Yet Amnesty International confirmed with multiple sources in the Mexican government that Mexican immigration officials routinely take possession of the waitlist each night, and coordinate with US border authorities on how many asylum seekers from the list will be received each day. Amnesty International has received reports from Mexican officials speaking anonymously that raise doubts as to the supposed lack of capacity by US authorities to receive more people and indicate the pressure that the US government exercises on Mexican authorities to restrict entry of asylum seekers. Mexican officials and asylum seekers at the San Ysidro Port of Entry told Amnesty International that US Customs and Border Protection (CBP) officials there were recently accepting 30 to 70 asylum applications per day. On 16 November, CBP’s San Ysidro Port Director told the Washington Post his staff could process 90 to 100 asylum seekers per day, provided that US Immigration and Customs Enforcement (ICE) took custody within 72 hours of those asylum seekers whom they processed. In a meeting with Amnesty International on 20 November, ICE officials declined to answer whether they were taking custody of asylum seekers in a timely fashion or faced any capacity constraints due to the recent arrival of the caravans, before abruptly ending the meeting. Amnesty International calls on the US authorities to immediately respect people’s right to claim asylum both at and between official ports of entry. Following the US government’s declarations that they plan to unlawfully deny people in the caravans that right, Congress should decline to fund CBP operations absent rigorous congressional oversight of those operations and a written commitment from CBP to halt the illegal pushbacks of asylum-seekers both at and between US ports of entry. Amnesty International documented these pushbacks in a recent report. On 19 November, Tijuana’s municipal police force announced that it had detained 34 caravan members for “public disorder” (including drinking beer on the street) and transferred them to INM for potential deportation. Amnesty International immediately asked INM to facilitate its access to interview the detainees, after receiving unverified reports that Tijuana’s municipal police may have racially profiled, entrapped and/or extorted some of them, and that their detentions may have resulted in their separation from family members staying at the Benito Juarez sports facility. INM did not allow the organisation to visit them. On 20 November, a migrant rights expert with Mexico’s National Human Rights Commission (CNDH) confirmed to Amnesty International that one or more families had been separated by the detentions, but said CNDH had not yet interviewed any of the detainees to assess the validity of the charges against them. He noted that people who were part of the caravans were at high risk of deportation if detained by municipal police, since most either lack legal status in Mexico or their legal stay is due to expire soon, including those planning to seek asylum at the US border. Under Mexican migration law, municipal police are not allowed to carry out migratory revisions of people’s documents – a task reserved for the INM. Local media in Tijuana reported on 20 November that 40 caravan members had been detained by municipal police and then deported by INM. This detention is part of a wider trend in recent days, with the INM carrying out several mass detentions across Mexico in response to the caravan, including of families and children. In some cases, the number of people detained has reached the hundreds. 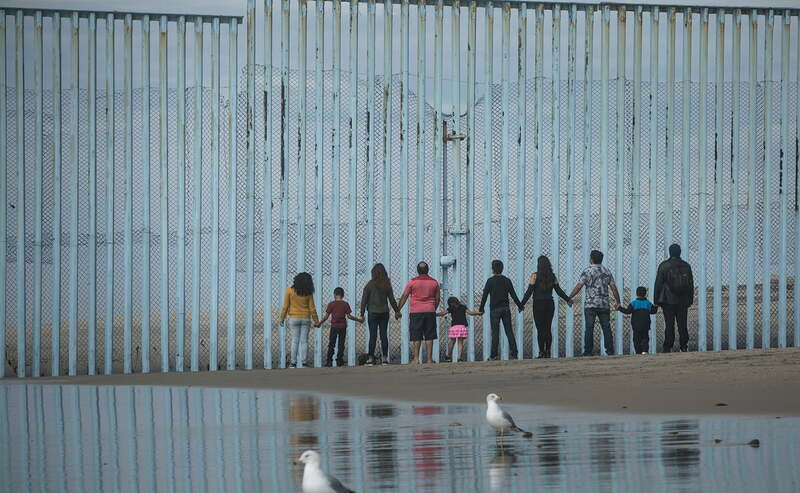 On 25 November, Mexican authorities said that some of those who tried to cross into the United States and were met with teargas would be deported. Deporting people to countries were their lives are at risk, without giving them the chance to seek asylum, would violate Mexican and international law. “Mexican municipal, state and federal authorities have struggled to accommodate and provide adequate humanitarian assistance for those stuck in Tijuana, and in some cases sought for Mexican immigration officials to deport people who are part of the caravans, potentially contrary to international law,” said Erika Guevara-Rosas”. 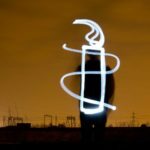 Amnesty International calls on the Mexican government to ensure and expedite proper screening of migrants and asylum seekers who may qualify for international protection; and provide provisional documentation to those awaiting reception at US ports of entry, to prevent them from being deported to their countries of origin while their cases are processed. The organisation also recommends authorities in countries of origin to address the factors that drive people to leave, while transit and receiving countries must ensure their health and safety, provide them with humanitarian assistance, respect their right to claim asylum, and prevent and investigate any abuses and human rights violations against them. These recommendations are based on interviews that Amnesty International conducted with approximately 200 people travelling in the caravans – either individually or in groups, including several families, women travelling with children, and members of the LGTBI community – as well as information obtained from governments across the region, international organisations and civil society organisations present in the field.